Dedicated, dependable , professional dental receptionist with more than nine years of experience in fast - paced dental office. Experienced in all aspects of the dental reception process. Excels in computer appointment setting as well as insurance and billing. 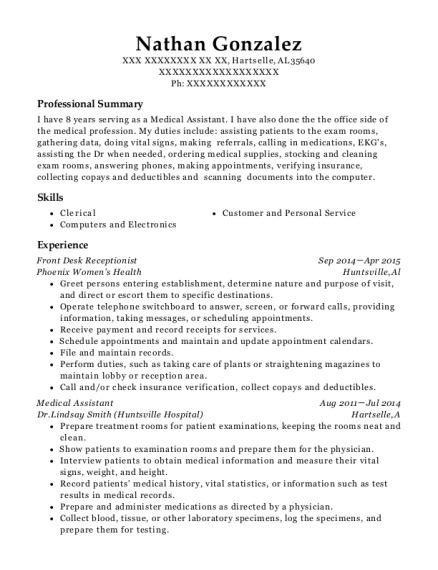 Skilled in dental product sales as well as patient relations. Works well independently and as part of a team. Handles tasks with accuracy and effciency. Responsible for answering multi-phone lines. Scheduling appointments, verifying insurances, filing insurance claims, medical billing, creating new files, pulling files, documenting files, copying documents and faxing. Running end -of - day and end -of-month reports and doing daily deposits. Setting up trays and sterilizing instruments. 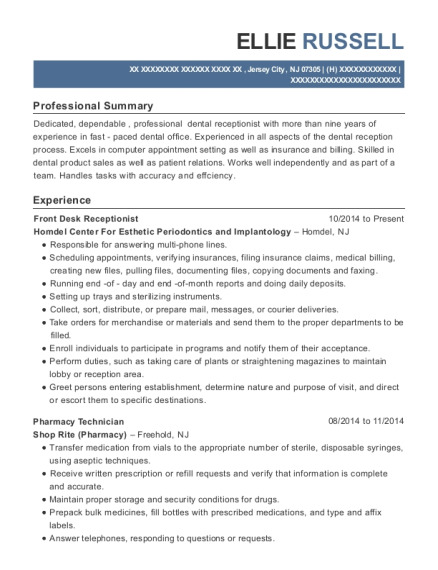 This is a resume for a Front Desk Receptionist in Jersey City, New Jersey with experience working for such companies as Homdel Center For Esthetic Periodontics and Implantology and Shop Rite Pharmacy. 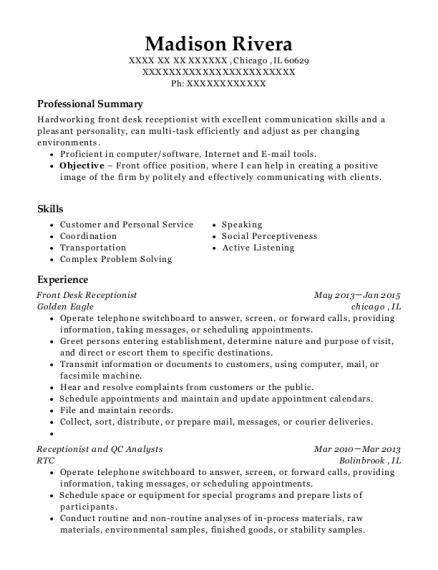 The grade for this resume is 0 and is one of hundreds of Front Desk Receptionist resumes available on our site for free. 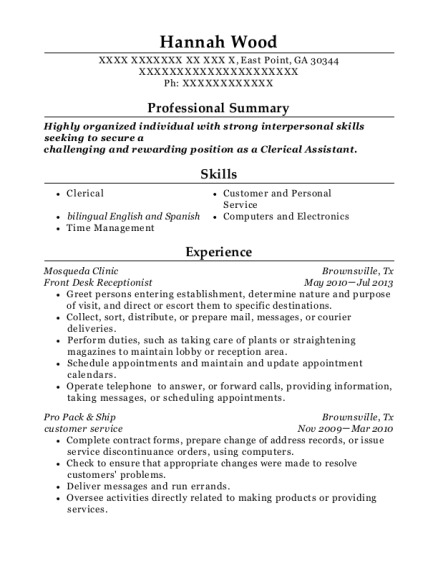 Use these resumes as templates to get help creating the best Front Desk Receptionist resume.